Job Description: Candidate have to approach the general public to support projects of Parivartabn Sandesh Foundation through web marking and online platforms. Keyskills: •	Communication skills: writing dynamic funding proposals and inspiring people to commit to the cause in question. •	Interpersonal skills: you will be constantly interacting with people, persuading them of the value of your organisation. •	Research skills and attention to detail: sourcing information and statistics, researching trends, assessing costs. •	Creativity: idea generation is important as charities try to ‘piggy back’ on what the public has an interest in. Job Description: Border Security Forces through its latest latest notification is inviting applicants for recruitment of 1,074 Constables (Tradesmen). Job Description: TATA ELXSI Ltd. is conducting off campus drive across India for BE/B.Tech ( All Streams)/M.E/M.Tech (All Streams)/Msc. 3.5 Lacs-5 Lacs Posted by: TATA ELXSI LTD.
Keyskills: A recognized MBBS degree qualification included in the First Schedule or Second Schedule or part II of the Third Schedule (other than licentiate qualifications) to the Indian Medical Council Act, 1956 (102 of 1956). Holders of Educational qualifications included in the Part II of the Third Schedule should also fulfill the conditions specified in sub-section (3) of section (13) of the Indian Medical Council Act, 1956 (102 of 1956). (ii) Post-Graduate Degree in the concerned speciality or Super-Speciality mentioned in Section-‘A’ in Schedule-VI i.e. Doctor of Medicine (Bacteriology)or Doctor of Medicine (Microbiology)or Bachelor of Medicine and Bachelor of Surgery with Master of Science (Medical Bacteriology)/Master of Science (Medical Microbiology) or Doctor of Philosophy (Medical Bacteriology) or Master of Science (Medical Bacteriology) with Doctor of Science (Medical Bacteriology) or Master of Science (Medical Microbiology) with Doctor of Philosophy (Medical Microbiology) or Master of Science (Medical Microbiology) with Doctor of Science (Medical Microbiology). NOTE-I Any Post Graduate Degree awarded by any Indian Universities, included in or excluded from, the Schedules to Indian Medical Council Act, 1956 (102 of 1956), consequent to recognition granted or withdrawn by Govt. of India as per provisions of the said Act shall be deemed to have been included or excluded accordingly from the Schedule-VI. NOTE-II The Post Graduation Medical Qualifications awarded by Indian Universities, must have been included in the Schedules to the Indian Medical Council Act, 1956 (102 of 1956) for the purpose of Schedule VI. NOTE-III In the case of holders of Doctorate of Medicine (DM) or Magister Chirurgiae (M. Ch.) qualification of five year’s duration, the period of Senior Post Graduate residency rendered in the last part of the said of Doctorate of Medicine (DM) or Magister Chirurgiae (M. Ch.) shall be counted towards requirement of teaching experience. NOTE-IV The crucial date for determining the age limit shall be the closing date for receipt of applications from candidates in India. NOTE-V The qualifications are relaxable at the discretion of the commission, for reasons to be recorded in writing, in case of candidates otherwise well qualified. NOTE-VI The qualification regarding experience is relaxable at discretion of the Commission, for reason to be recorded in writing, in the case of candidates belonging to Scheduled Castes and the Schedule Tribes if, at any stage of selection, the Commission is of the opinion that sufficient number of candidates from these communities possessing the requisite experience are not likely to be available to fill up the vacancies reserved for them. (B) Experience Three years’ experience in the concerned speciality or super specialitiy after obtaining the first Post-graduate Degree. Keyskills: Candidates should have passed Graduation or Post-Graduation Degree in any stream from a recognized university. Age Limit- 21 Years to 27 Years as on 31-07-17. SC/ST Gets 05 years relaxation in permissible age. Keyskills: Candidates should possess Degree from recognized University or equivalent for IMA & Officers Training Academy, Degree in Engineering & Degree from recognized university/ institution for Indian Naval Academy, Degree of a recognized university (with Physics and Mathematics at 10+2 level) or Bachelor of Engg for Air Force Academy. Keyskills: · Draft SEO compliant Content for service providers. · Upload the content on website. · Regularly follow up with the service providers to validate the website data, update if needed. · Activism on social media and digital marketing activities. · Track the performance against the set goals. Job Description: · Draft SEO compliant Content for service providers. · Upload the content on website. · Regularly follow up with the service providers to validate the website data, update if needed. · Activism on social media and digital marketing activities. · Track the performance against the set goals. Keyskills: · Data Mining of potential service partners from PAN India. · Cold Calling and on barding service providers for partner network expansion · Negotiate and close the registration. · Track the performance against the set goals. · Handling and coordinating customer queries. Job Description: · Data Mining of potential service partners from PAN India. · Cold Calling and on barding service providers for partner network expansion · Negotiate and close the registration. · Track the performance against the set goals. · Handling and coordinating customer queries. Job Description: The Inside Sales Representative is responsible for selling products or services. The Inside Sales Representative will reach business targets through excellent telephone sales and communications skills. This individual will also develop his or her phone-based revenue generation through the creation of sales leads, initiation of prospect calls, and establishment of ongoing rapport with existing and potential customers. Integrity, vision, and passion are essential for this role. *Lead generation through web research *Cold-call prospects that are generated by external sources of lead. *Identify decision makers within targeted leads to begin sales process. *Penetrate all targeted accounts and radiate sales from within client base. *Collaborate with Sales Managers to determine necessary strategic sales approaches. *Create and deliver qualified opportunities to Sales Managers where appropriate. *Maintain and expand the company's database of prospects. *Prepare and analyze sales pipeline reports. Job Description: Detailed Job Description: 1.) Basic knowledge in sales & marketing. 2.) Educating customers about the product. 3.) Giving demos and presentations regarding the product. 4.) Generating the leads through calling & accordingly fixing up the appointments. 5.) Convert the leads into sales. Keyskills: •	To handle International Gaming Calls. •	Resolve customer queries within the assigned TAT. •	Adhere to the Login hrs.& maintain the desired AHT Levels. •	Develop strong customer relationships and provide paramount service. •	Ascertain customer needs and take action in a timely manner. •	Perceptive and intuitive nature with the ability to solve problem. Job Description: Provide a high quality phone and on-line customer service support for end-user customers. Should know how to excel and exceed customer’s expectations by going the extra mile even in moderately stressful situations. Job Description: The Inside Sales Representative is responsible for selling products or services. The Inside Sales Representative will reach business targets through excellent telephone sales and communications skills. This individual will also develop his or her phone-based revenue generation through the creation of sales leads, initiation of prospect calls, and establishment of ongoing rapport with existing and potential customers. Integrity, vision, and passion are essential for this role. Keyskills: Excellent freshers will be considered. - Decent communication skills. Job Description: Candidates will be given data of Interested Customers, whom they need to guide for the services and packages - The candidate has to interact on call with clients to sell career related services - The candidate will be responsible for achieving targets - The candidate would be responsible for managing clients who have taken these services. Job Description: Attend Customer Calls in Proper Manner Knowledge & Awareness of IP addressing, Associates will be responsible to resolve the issue through advanced troubleshooting. 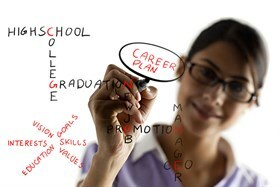 Keyskills: Education:UG -Other Graduate/ PG - OtherSales/ Direct Sales/ Extrovert/ Good Communication Skills. Job Description: Ready to work in a stimulating environment and to face challenges of Direct Selling while being keeping calm, perseverance, determination and will to sell happily. Commit to vision of the organization and put forward a conscious effort, investing time and energy in person to accept responsibilities and be accountable for the targets assigned. Job Description: *Client Relationship- To maintain the client database *To verify the data/data validation *Coordination and data management for workshops and seminars *Client Data Management *Email Writing, Confirmation and Follow-up emails *Internal Team Coordination and operational tasks *Data analysis and other operational task. Keyskills: Good communication and written skills. Any certification on Digital Marketing will be an added advantage. Job Description: Develop and plan out execution of various digital campaigns (Online, Mobile) for clients. Maintain and co-ordinate with existing client base on their new requirements. Manage multiple clients' social media sites (Google+, Facebook, Twitter, etc). Create reports of measurable for maintenance of different profiles of existing plus new clients. Stay up to date with new mobile advertising trends/ latest websites / social media trends / new digital growth spheres. Passionate for online marketing and social media and focus on RoI of the campaigns. Strong organizational and time management skills. Experience with Social Media Marketing, Knowledge of Mobile advertising. Research content for company Twitter & LinkedIn accounts Create case studies Create/Support clients pitches with product positioning & other collaterals. Monitor channel performance & report on analytics Keep a close watch on the market and competitor landscape and support updating the product positioning to keep the product clearly differentiated. Ability to write content for Blogs/Social Media pages should be good. Good Editing and writing skills are essential. Good Communication skills are required, as the person would be client facing.